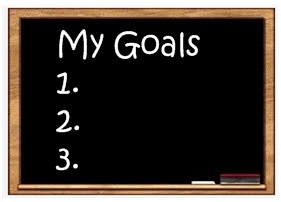 Goal setting is a formal process for personal planning. By setting goals on a routine basis, you decide what you want to achieve, and then you systematically move towards the achievement of those goals. Goals provide you with a focus for your life. Your goals are mostly determine by your values, interests, aptitudes, and dreams determine. Lifetime goals are those major goals that you would like to accomplish over your lifetime. Depending on your age, these goals will be accomplished significantly later on in your life. Typically, these goals will have accomplishment dates of ten or more years in the future. Get a job as a teacher, become a professional basketball player, graduate from college, or retire to Florida. Lifetime goals can be in numerous categories including career, education, family, financial, or just pleasure. You can have a lifetime goal to become an accountant as well as goals of getting a Master’s Degree, having four children, making ten million dollars or traveling around the world. Lifetime goals are often general at first but as you work towards them, they become more specific. The original goal of “get a job as a teacher” becomes “Get a job teaching math to high school students,” which later evolves into “enter a career in teaching trigonometry to high school seniors.” As time goes on, the more defined your goals will become. Lifetime goals often are our most meaningful and important goals. One problem, however, is that the achievement of these goals is usually far in the future. As a result, we often have trouble staying focused and maintaining a positive attitude toward reaching these goals. When setting goals, start with your lifetime goals and work back towards your provisional goals. List the goals that you ultimately want to achieve under each of the following categories.